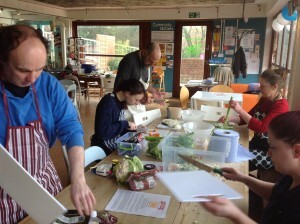 Home » Come and Cook with Grow Wild this Year! Come and Cook with Grow Wild this Year! 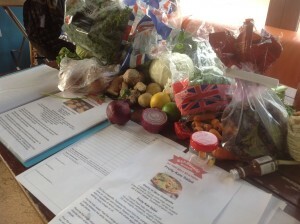 From January our cooking sessions took on a seasonal flavour! 2014 is well underway and we have started our cooking workshops in 2 community kitchens in New Cross and Telegraph Hill. Our sessions are still free and we have a daytime and an evening slot during the week and are working on developing a regular weekend session too for the spring months….. These sessions are well established now and very enjoyable, a way to meet local people, find new recipes, learn about seasonal food, cook together, learn from one another, have a laugh and sit and eat a meal together, come and join us one day perhaps you could lead a recipe? It is of great help to have on board new volunteers whom have joined the Grow Wild team. They have become indispensable in helping to run the cooking sessions, so expect some different faces leading the cooking and generally helping out! Next PostTasty Tuesday cooking sessions are back!